I just love tearing up paper. Cutting paper for artwork feels tedious and in my eyes doesn’t look nearly as interesting so I often end up tearing paper apart. 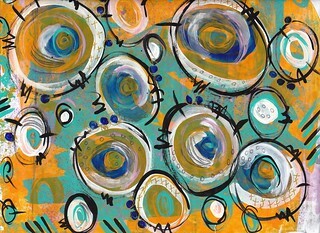 I enjoy finding a way to interpret the random shapes and lines it produces into my art. This grouping of paper collages uses torn paper strips as the foundation to build on. 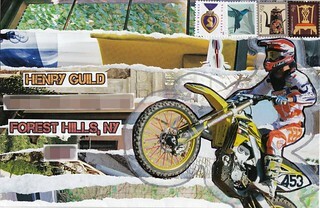 “Airborne” is a mail art envelope showing a motocross competitor. “Monastral” is a page created in my mini moleskine using my travel art kit, which I talk about in detail in a previous post. 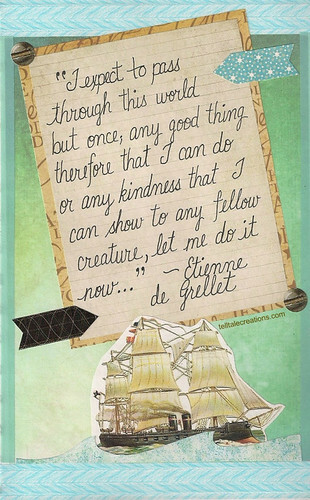 The rest of the pieces were sent as postcards. The name of the “strappato” card literally means ‘torn’ in Italian. 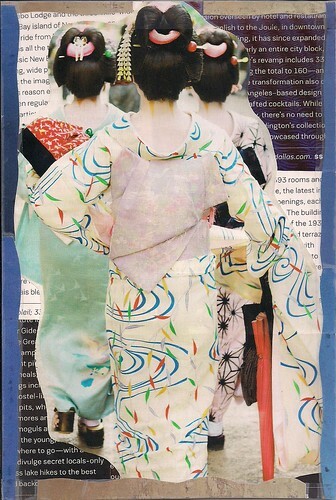 See more of my collage work .